Forget Jimmy Graham. Forget Muhammad Wilkerson, Forget Tramon Williams. 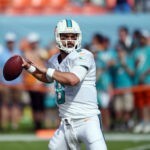 The best free agent signing the Packers could make this offseason is a player who hopefully wouldn’t play a single down in 2018 – veteran quarterback Matt Moore. We all saw what happened to the offense when Aaron Rodgers went down with a broken collarbone early last season. Third-year backup Brett Hundley struggled big time and what had been a finely-tuned machine turned into a broken-down clunker. It’s hard to imagine Mike McCarthy being comfortable turning to the former UCLA star again in 2018. And to be honest, it’s hard to imagine him being any more comfortable with DeShone Kizer, who was acquired last month from Cleveland in the Damarious Randall trade. While Kizer probably has a higher ceiling than Hundley, he didn’t play much better last season, and he’s brand new to McCarthy’s offense. Realistically, the former second-round pick from Notre Dame will probably need a full year to get over what happened with the Browns, and more importantly, to learn the offense. If any team should see the value of having an experienced backup quarterback on the roster, it’s Green Bay. That’s why the 33-year-old Moore would make so much sense. 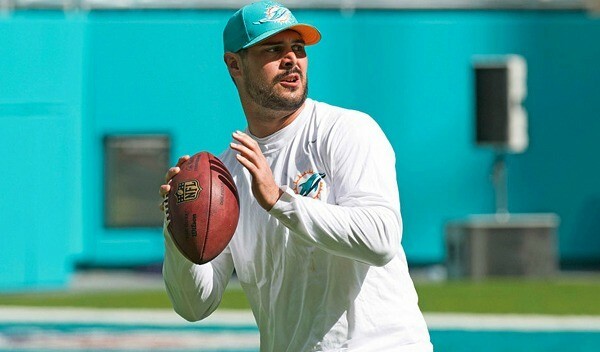 Not only has he started 30 games and thrown nearly 1,000 passes during his career, but he played under new offensive coordinator Joe Philbin in Miami. That, along with his experience, should allow him to pick things up quickly and be ready if needed. Moore, who entered the NFL with Carolina in 2007, isn’t the most talented QB in the world, but neither was Matt Flynn, who played just well enough for 5 games in 2013 to give the Packers a chance to win their division when Rodgers returned in week 17. Flynn didn’t do anything spectacular, but he managed the game. It’s funny how much better the term “game manager” sounds when it’s applied to a backup and not a starter. Of the 127 throws Moore attempted last season, I thought there was one that best epitomized who he is as a quarterback. 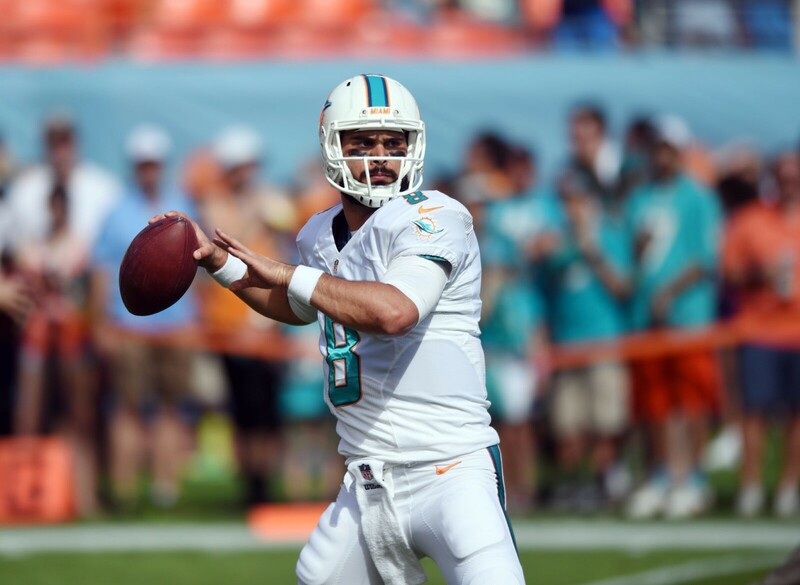 In the video below, Miami trailed Tampa Bay 20-13 in the fourth quarter and the Dolphins were facing a 3rd and 11 from their own 3. Watch how Moore calmly stands in the pocket and completes a 20-yard pass to Kenny Stills with All-Pro defensive tackle Gerald McCoy rushing up the middle. Were all of Moore’s throws this impressive? Of course not. He made his share of shaky decisions and even shakier throws. But he never panicked and he kept his undermanned team competitive in three of the four games he participated in. And let’s be honest, that’s pretty much all one can expect from a backup QB. New general manager Brian Gutekunst hasn’t shown any interest in adding a veteran QB so far this offseason, but hopefully, that’ll change. Signing Moore would allow Kizer to spend the season learning and it would give Hundley a chance for a much-needed fresh start elsewhere. And considering that Moore shouldn’t cost more than $2 million or $3 million a year, there seems to be little downside in bringing him in.